There seems to be increased traffic on the internet about how to free mesially impacted lower second molars. I encountered my first one during my orthodontic training in 1964; since then, I’ve encountered many more and worked out an effective system. Molars require only to be tipped distally until 2mm of clearance. Molars do not need to be extruded. Once freed, they will extrude by themselves. Only the central groove area needs to be exposed to permit bonding. No surgical flaps are needed. The buccal and lingual crown surfaces can be left unexposed. It only takes 100g of force to tip a second molar crown distally. Third molars may need to be extracted only if they block the room needed to upright the second molar. Minimal exposure of second molar’s occlusal surface. Bond a pigtailed eyelet in the second molar’s central groove. Using a sectional arch, tip the second molar crown distally using a nickel titanium (NiTi) open coil spring. Once uprighted, release second molar and let erupt. An L-shaped 0.018 round stainless sectional wire with a lingual terminal helix is placed with a 100-gram open coil superelastic NiTi spring compressed between the molar tube and the tight helix at the spring’s 90-degree elbow (Fig. 1). The lingual helix of the sectional is ligated to an eyelet with its pigtailed end bonded in the central groove of the impacted second molar (Fig. 2). As the spring expands, the second molar will tip distally. Once there is a 2mm gap between the two molars, the sectional is removed, leaving the bonded eyelet in place in case it may be needed later. With the sectional removed, the second molar will erupt on its own 85?percent of the time. If it reimpacts at a higher level, an AlastiK separator will free it, again, for further eruption. Very rarely will the sectional need to be replaced and reactivated. Remove 6mm band of tissue surrounding the distal half of the central groove. More occlusal tissue may be removed, but avoid removing any buccal or lingual tissue. A loop electrode on an electrosurge is the fastest and easiest way to expose the central groove. Lasers work but, because of tissue thickness, they will take much longer. Using a loop-forming plier and a 0.014 dead-soft stainless steel ligature wire (Kobayashi ligatures), make a small loop with a twisted pigtail 5–6mm long. Then, bend the eyelet 90?degrees to the pigtail. When in place, the pigtail will be bonded in the central groove while the patent loop contacts the distal of the first molar, with the top of the loop level with the first molar’s distal marginal ridge. Use a 0.018 round stainless wire and form an elbow bend making a very tight 450-degree helix. This helix creates a 90-degree bend and will also serve as a stop for the compressed NiTi open coil spring. Position the sectional over the first molar tube and mark where the lingual arm of the sectional crosses the bonded eyelet. Next, cut excess wire 6mm past the mark and form a helix with the loop-forming plier. The lingual arm’s length should center the helix over the bonded eyelet. Adjust the length of the lingual arm by rolling up the helix to shorten, or unrolling to lengthen. Place the sectional in place with the eyelet and lingual helixes touching. Measure and mark about 7mm mesial to the first molar’s tube/bracket and cut at the mark and discard the excess wire. Use a 100g, 15mm precut open coil superelastic NiTi spring (GAC stock #10-000-0). Thread stainless ligature wire through eyelet bonded to second molar. Thread same ligature wire through lingual helix on sectional arch wire. Thread open coil spring over mesial portion of sectional arch wire. Insert mesial end of sectional into the distal lumen of the first molar’s tube while keeping the spring compressed by the first locked needle holder A. Slide the sectional (inside the tube) forward until the needle holder touches the distal of the buccal tube (Fig. 3b). Lock a second needle holder B on the 0.018 round sectional wire just to the mesial of the first molar tube (Fig. 3c). Release and remove the first needle holder (Fig. 3d). This will let the compressed spring expand slightly. Twist and tightly snug up the preplaced ligature wire until all slack is out, firmly attaching lingual arm’s helix to the bonded second molar eyelet. Trim and tuck ligature wire. Release and remove second needle holder (100g of pure tipping force is applied to second molar). Let molar move distally for 3–6 weeks. If you need more activation, rebond the eyelet more mesially and retie. When there is 2mm of clearance between first and second molars, remove sectional appliance but not the bonded eyelet. Save sectional for possible further use. Let the second molar erupt unassisted. If the molar reimpacts at a higher level, an AlastiK separator should free it up for more eruption. Rarely, the sectional needs to be reinserted and reactivated for additional molar tipping. Remove bonded eyelet when you are sure you will not need it anymore. Dr. Earl Johnson studied engineering at Johns Hopkins and UC Berkeley before completing his dental and orthodontic training at UC San Francisco’s Curriculum II program. 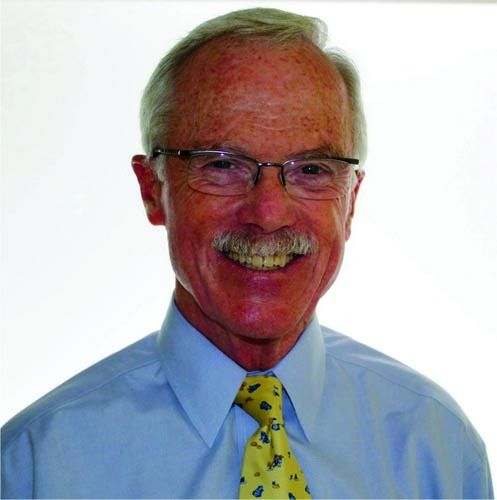 He practiced full time in private practice in Mill Valley and Tiburon, California, for 38 years and has been a volunteer faculty member at UCSF and the University of the Pacific since 1969. Johnson originated and authored “Earl’s Pearls” in the PCSO Bulletin for 20 years. He has lectured internationally and published several papers in the AJO-DO and the Angle Orthodontist.